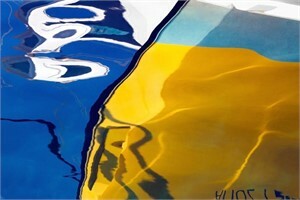 Barbara Vaughn is an acclaimed photographer who takes as her subject matter bodies of water from across the world. 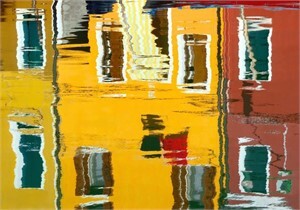 Vaughn’s vibrant, large-scale photographs harness nature to realize abstraction and explore the visual phenomenon of perspective. Seeking to create images that move beyond the confines of representational photography, she takes cues from Abstract Expressionism, Surrealism and Cubism in her unusual depictions of ordinary locales. 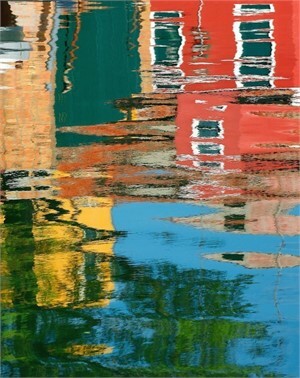 By photographing fragments of reflections in the undulating waters of Mediterranean ports, European canals, and coastal marinas of the U.S., she captures images that prevent the viewer from recreating the original scene, thereby enticing us to engage our powers of imagination. 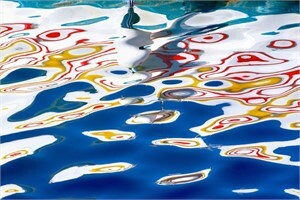 After earning her BA from Princeton University, Vaughn studied at the International Center of Photography in New York. Her work has been published in numerous books and periodicals, including The New York Times, Vanity Fair, Time, Vogue and Art in America. 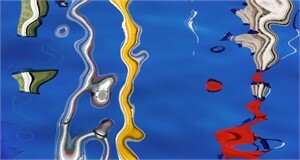 In addition, she has had many solo and group shows over her thirty plus year career. Most recently, Vaughn’s work was included in the 2016 group show called “Water | Bodies” curated by Eric Fischel & David Kratz at the Southampton Art Center in Southampton, New York. 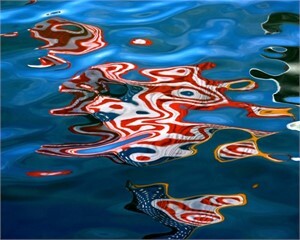 Barbara Vaughn is an acclaimed photographer who takes as her subject matter bodies of water from across the world. 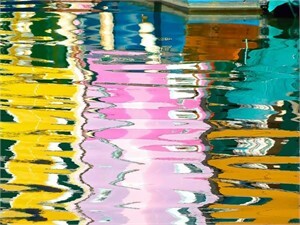 Vaughn’s vibrant, large-scale photographs harness nature to realize abstraction and explore the visual phenomenon of perspective. Seeking to create images that move beyond the confines of representational photography, she takes cues from Abstract Expressionism, Surrealism and Cubism in her unusual depictions of ordinary locales. 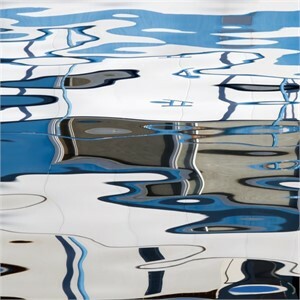 By photographing fragments of reflections in the undulating waters of Mediterranean ports, European canals, and coastal marinas of the U.S., she captures images that prevent the viewer from recreating the original scene, thereby enticing us to engage our powers of imagination. 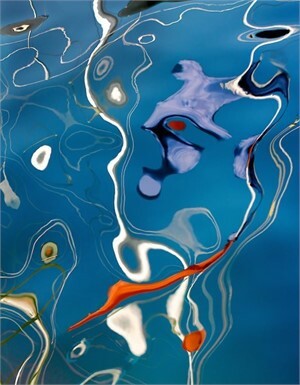 After earning her BA from Princeton University, Vaughn studied at the International Center of Photography in New York. Her work has been published in numerous books and periodicals, including The New York Times, Vanity Fair, Time, Vogue and Art in America. 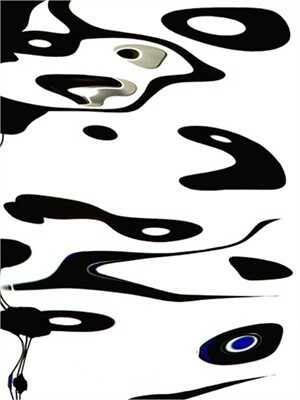 In addition, she has had many solo and group shows over her thirty plus year career. Most recently, Vaughn’s work was included in the 2016 group show called “Water | Bodies” curated by Eric Fischel & David Kratz at the Southampton Art Center in Southampton, New York.